It is sometimes said that cannabis is one of the most studied plants in the history of science. So far, well over 10.000 scientific papers have been published, discussing the medical use as well as abuse of cannabis. Already more than 500 chemical components – or constituents – have been identified in cannabis plants and products from all over the world. Most well-known are the cannabinoids, including the infamous THC. But many other groups of chemicals are also present, such as terpenes, flavonoids and alkaloids. And every now and then, new constituents are still being discovered. Because many of these constituents have never been properly characterized for their therapeutic value, some scientists call the cannabis plant a “neglected pharmacological treasure trove”. The most interesting constituents are found in the secretions of tiny glandular hairs that are present all over the Cannabis plant. 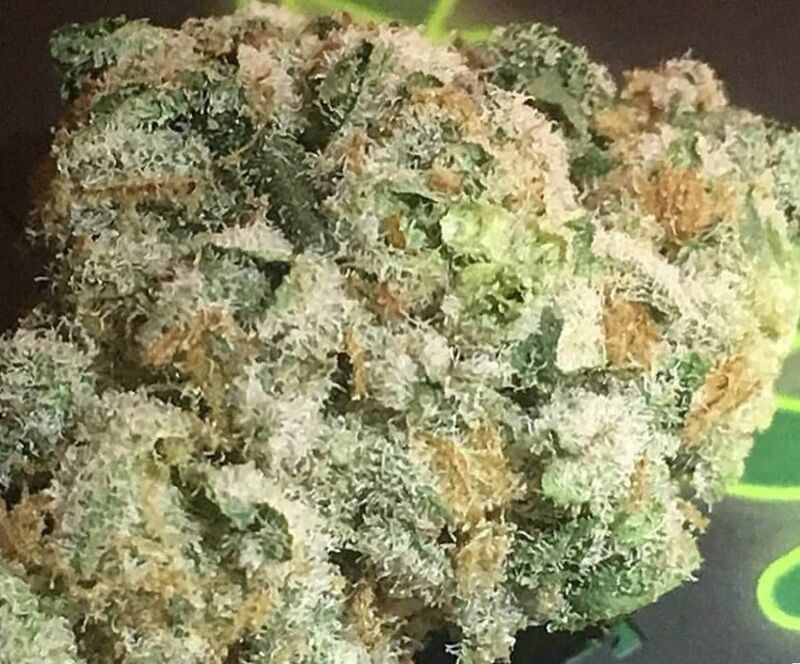 These hairs, known as trichomes, produce a sticky resin that accumulates in little droplets at the tip of each hair. Trichomes are so small that they are only visible under a microscope, as shown in figure 2-1. They can be found on male as well as female plants, but they are most abundant in the female cannabis flowers. For that reason, cannabis growers focus on growing female plants only. Ultimately, the medicinal value of a cannabis flower depends on the exact mixture of constituents that it produces. Most scientists think that cannabinoids and terpenes are the most relevant in this respect. laboratories. Cannabis grown indoors generally has higher levels of cannabinoids when compared to outdoor grown plants. When grown under optimized indoor conditions, female flowers can be obtained with a THC content of up to 30% of their dry weight. The most famous cannabinoid of all is delta-9-tetrahydrocannabinol, more commonly known as THC. In addition to the recreational feeling of ‘getting high’, THC is also responsible for many of the medicinal effects of cannabis. This includes, among others, reduction of nausea, vomiting, pain and muscle spasms, and improvement of sleep and appetite. The therapeutic applications of THC and other cannabinoids are described in more detail in chapter 5. Another cannabinoid that receives a lot of scientific attention is cannabidiol, or CBD. It has medicinal effects but does not make a person feel “high”. To the contrary, CBD actually reduces some of the unwanted effects that are caused by higher doses of THC. Studies indicate that CBD could be effective in easing the symptoms of various difficult-to-control conditions, such as rheumatoid arthritis, diabetes, PTSD, anxiety disorder, and antibiotic-resistant infections. Other examples of medicinal cannabinoids include cannabigerol (CBG) which has potent anti-inflammatory effects, and tetrahydrocannabivarin (THCV) which is being studied for treating epilepsy and Parkinson’s disease. The chemical structures of these cannabinoids are shown in figure 2-2. Because of their very different therapeutic properties, the specific mix of cannabinoids present in a cannabis flower has a major impact on the medicinal properties it may cause. The terpenes are the constituents that give cannabis its typical smell and taste. To date more than 120 different ones have been found in Cannabis. Unlike cannabinoids, all major terpenoids present in cannabis (with pretty names such as myrcene, alpha-pinene, and beta-caryophyllene) can be found abundantly in nature. Nonetheless, these terpenes display a wide range of effects that may be involved in modulating some of the undesired effects of THC, for example by reducing shortterm memory loss or anxiety resulting from cannabis use. Terpenes may also produce their own pharmacological effects; some of them are potent antibiotics, while others have analgesic or antiinflammatory properties, for example. Because so many cannabis terpenes exist, there are many different combinations in which they can be present in a cannabis plant. And just like with the cannabinoids, each specific mix of terpenes may lead to a unique medicinal effect. Terpenes easily evaporate (which is the reason we can smell them) and they are inhaled during smoking or vaporizing. Unfortunately, only very few studies have been done on potential interactions between the terpenes and the cannabinoids. Nevertheless, it is generally believed that each distinct type (variety, strain) of cannabis has its own unique composition of cannabinoids and terpenes. Terpenes display a wide range of effects that modulate the effects of THC. Cannabis consists only of a single species, going by its official botanical name Cannabis sativa L. This means (in biological terms) that every cannabis plant can be crossed with every other one. Its closest relatives in the plant world are Hops (cousin) and Nettle (second cousin). Over time, people worldwide have selectively grown cannabis for certain desired characteristics: narcotic effect, size, bud shape, smell, you name it. When the resulting plant becomes sufficiently different from other Cannabis plants, it is generally considered as a distinct variety. Dogs and tulips are other examples of a single species with lots of different varieties. As a result of centuries of such breeding and selection, a wide range of varieties (also known as strains) has been developed. Varieties are commonly distinguished, by plant breeders, recreational users, and patients, through the use of popular names such as White Widow, Northern Lights, Amnesia, and Haze. Nowadays, well over 700 varieties have already been described and many more are thought to exist. An obvious question is how the many names used for all these cannabis varieties reflect an actual difference in medicinal properties. In other words: which varieties are most important and useful to patients, and how many names do we really need to tell them apart? and Cannabis indica. The sativa types of cannabis were originally grown in the Western world on an industrial scale for fiber, oil, and animal feedstuff. They are characterized by tall growth with few, widely-spaced, branches and long, thin leaves. In contrast, varieties of the indica type originated in south Asia and are known historically as Indian hemp. They are characterized by shorter bushy plants and broader leaves, typically maturing relatively fast. The two groups tend to have a different smell, which likely reflects a different profile of terpenes. Most modern cannabis varieties available on the drug market are in fact a hybrid (cross-breed) of sativa and indica ancestors. Cannabis ruderalis is sometimes also recognized as a separate group. It is a smaller and “weedy” plant originally from Central Russia. Originating from old hemp fields, this type is now rarely cultivated for THC content or medicinal properties. Ruderalis plants have lost many of the traits they were originally selected for, and have adopted themselves to their environment. Several scientific attempts have been made to classify Cannabis varieties based on cannabinoid composition. For forensic and legal purposes, the most important classification is that of the drugtype (marijuana) or the fiber-type (hemp). Existing classification systems consider the content of THC and CBD, and sometimes additional cannabinoids as well. But unfortunately, the various terpenes have not been included in these classification attempts. For a clearer understanding of the medicinal properties of the Cannabis plant, a better classification system is needed that includes all the known cannabinoids and terpenes. By a tedious process of trial and error, patients in many countries have found a cannabis variety that works optimally for treatment of their medical condition. The popular distinction between sativa and indica types is an important help for patients during this search. However, it has never been properly studied if and how the medicinal properties of cannabis are correlated in any way to the distinctions made between sativa and indica. It is clear that a better understanding of chemical differences between Cannabis varieties could help to bridge the gap between the extensive knowledge on Cannabis that exists within the community of recreational users, and the information needed by medicinal users and health professionals. At Bedrocan we study a wide range of (potentially) active components in our plants, visualizing up to 28 different cannabinoids and terpenes. By using this approach, we believe that the endless number of popular varieties (also named ‘cultivars’) can be reduced to a more manageable number of chemically distinct varieties (or ‘chemovars’). The varieties currently available from the Dutch medicinal cannabis program are listed in table 2-3. Further studies into the chemical differences and similarities between the most popular cannabis types may help medicinal users to accurately and efficiently identify the cannabis variety they need most. 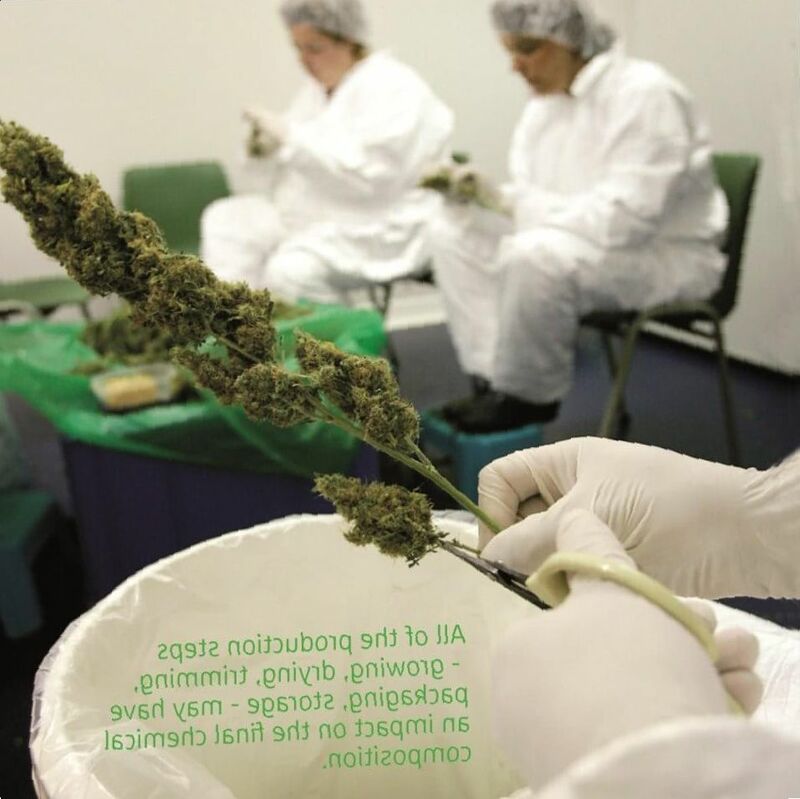 Exchange of cannabis varieties and information between researchers in different countries that allow medicinal cannabis use, including the Netherlands, Canada and the USA, may greatly facilitate such studies.